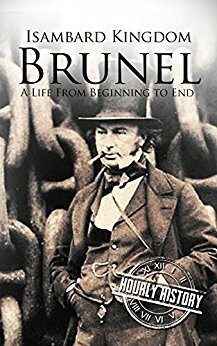 This is a short biography on the 19th Century British engineer, Isambard Kingdom Brunel, who was ranked number 2 in BBC’s list of 100 Greatest Britons back in 2002, second only to Winston Churchill. The book starts with his background, and as to how his father himself was an engineer, from whom Isambard developed the interest in engineering. It goes on to describe his attempts at building the Thames Tunnel (a project which failed), the Clifton Suspension Bridge in Bristol and the Western Railway line. The book also described as to how Isambard was very keen on publicising all his constructions, having grand foundation and inauguration events. The multi-faceted nature of Isambard was also brought out, wherein, he was a civil engineer, an inventor and also, a ship builder, which is quite difficult in modern times as people expect extreme levels of specialisation. So, there was a fair effort in bringing all these aspects of Isambard through a short biography. However, the man was an engineer, and to explain his marvels better, you do need illustrations and maps (especially for the Western Railway), so that the reader would be able to appreciate as to why it was difficult to build the structures back then. Thus, the book seemed like a plain narrative which could perhaps have been appreciated only by people who are still administering these structures or already have some knowledge on how they were built. I feel they took an interesting historical figure; I was always curious about him, one; for his strange name and especially for; when someone finishes ahead of Isaac Newton, William Shakespeare, Charles Darwin, Alexander Fleming or Alan Turing and still, I know very little about him as compared to the others, I felt I should definitely read up. From that perspective, I felt this book failed to deliver; all I got to know from this book are the names of his various projects and the short descriptions on the difficulties encountered proved to be insufficient. I would award the book a rating of three on ten.